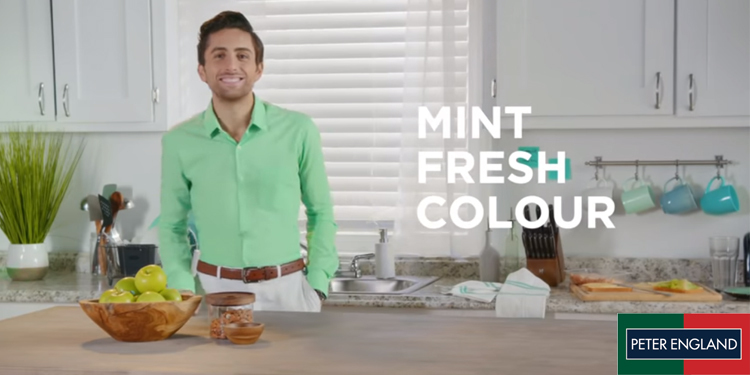 Mumbai : Peter England menswear brand from Aditya Birla Fashion and Retail Limited presents Mint Collection, a range of formal shirts in refreshing shades of green through its campaign ‘Fresh Mints’. Building a heritage of path-breaking innovations in the world of fashion-conscious, Peter England has beautifully weaved in elements of nature in the fabric. The new collection of shirts is infused with fresh mint fragrance that keeps one refreshed. The line promises a sophisticated and modern look, in some of the vivacious and trendy shades of mint. The concept is inspired by a fresh summery palette that rejuvenates your wardrobe. Whether it is an afternoon lunch with clients or a get together with family, this color will give you an instant summer makeover. The new offering will be communicated through promotions on IPL Hotstar, Cinemas, and Social Media. Tags: Aditya Birla Fashion and Retail LimitedDDB Mudra GroupFresh Mints’Manish SinghaiPeter EnglandVijay JosephZach King.